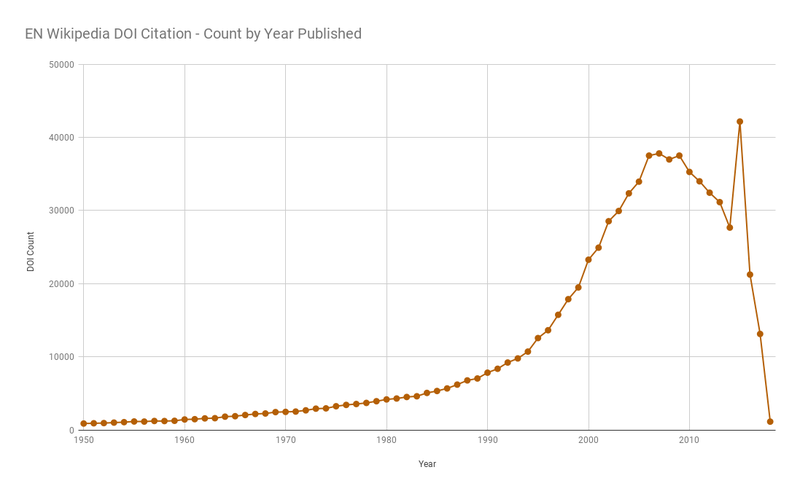 Building on my previous look at book (ISBN) citations used in English Wikipedia using the data recently released I turn to the other prominent citation type in the dataset: DOIs. These DOIs mostly represent journal articles referenced on Wikipedia. 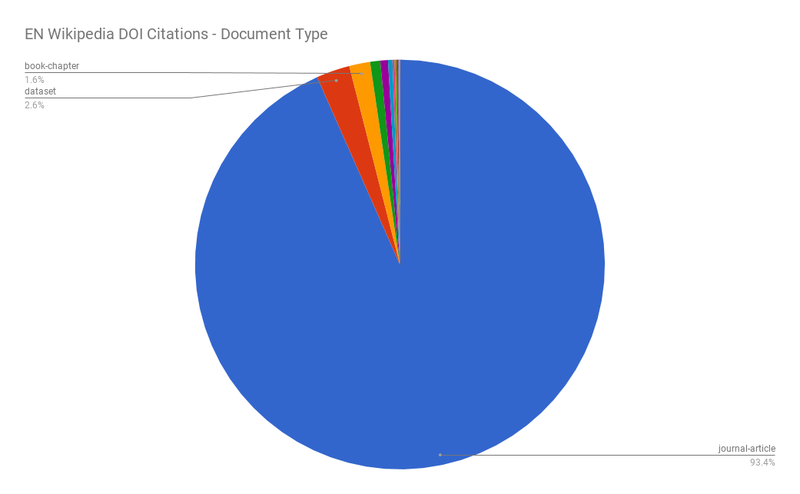 Same as the book citation analysis I’m only looking at English (en) citations released. 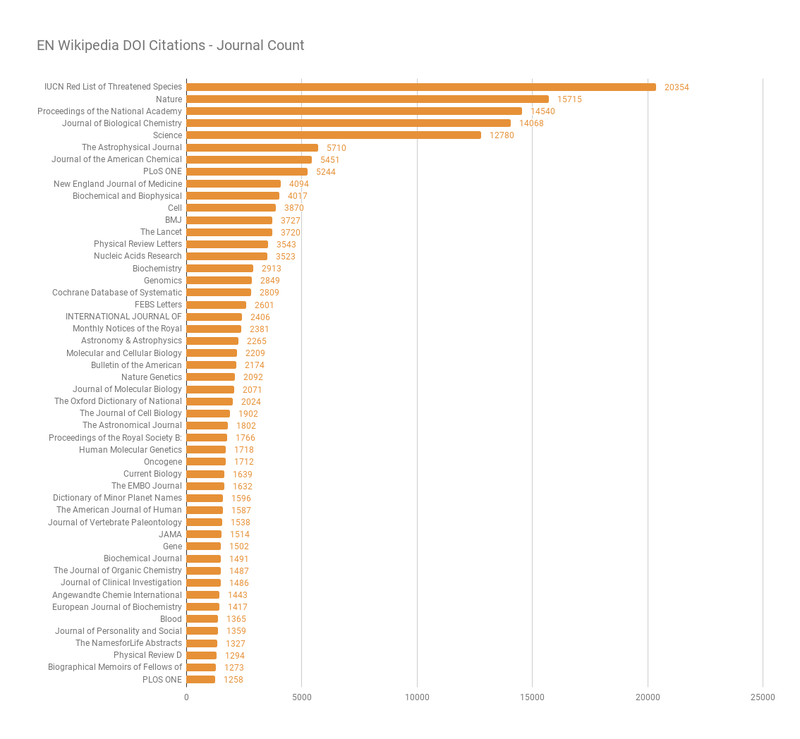 As you would probably expect the largest publisher is Elsevier followed by Springer Nature and Wiley-Blackwell. You can view the full list in this sheet. 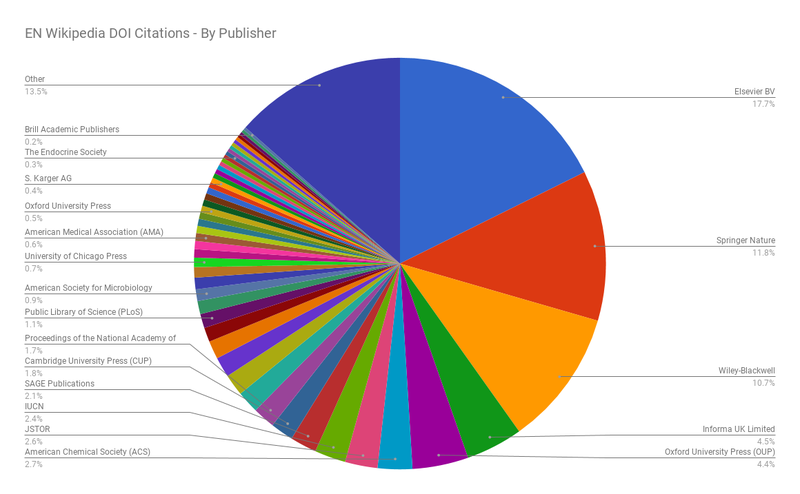 The percentages go up a few points for the large publishers. View full data in this sheet. Rates of course vary from publisher to publisher and journal to journal for individual access. And not all of these articles are behind a paywall, but if you took a pretty lowball price of $25 per article to access, you could estimate it would cost $3.7M dollars to access all the Elsevier content alone. It would be a interesting project to get the access cost for each article and be able to literally put a price on the knowledge cited in English Wikipedia. Although I did not investigate the spike in 2015 reference, an outlier in the pattern. View all year data in this sheet. View top 10K data in this sheet. CrossRef offers a value for the number of other resources that cite the resource in question. So how many times do other journal articles cite this specific article for example. 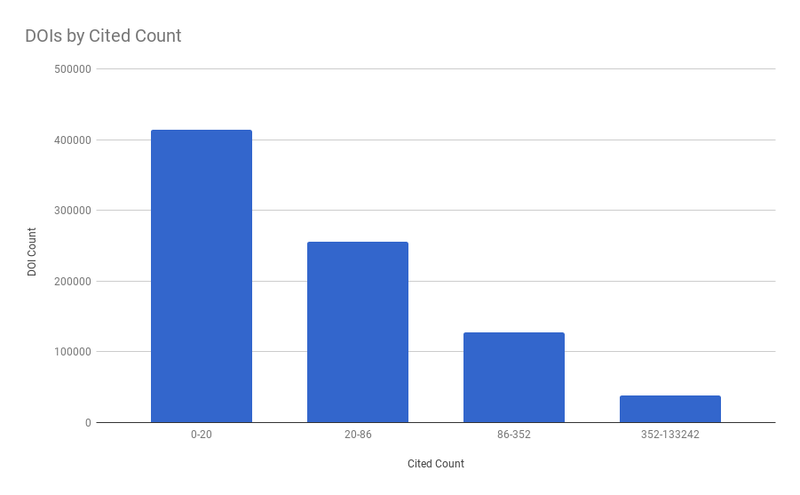 The results are that most of the DOIs were cited by 0–20 other DOIs. This data combined with the ISBN data provides are fairly complete view into the materials cited on English Wikipedia. 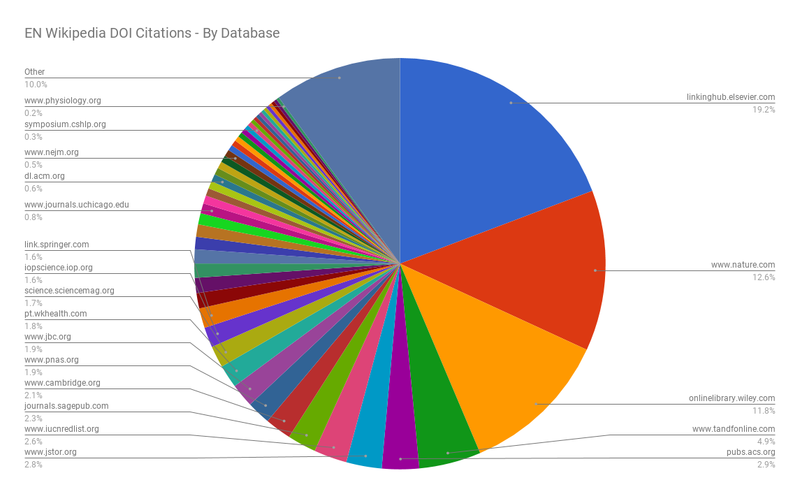 I would like to work with the combined DOI/ISBN data to connect bibliographic systems and the en Wikimedia ecosystem more closely.